Found 7 file extension associations related to Team Fortress 2 and 3 file formats developed specifically for use with Team Fortress 2. Team Fortress 2 is a team-based multiplayer first person shooter developed by Valve Software as part of the game bundle The Orange Box. It was first released for Microsoft Windows, Xbox 360, October 10, 2007. A PlayStation 3 version then followed on November 22, 2007. 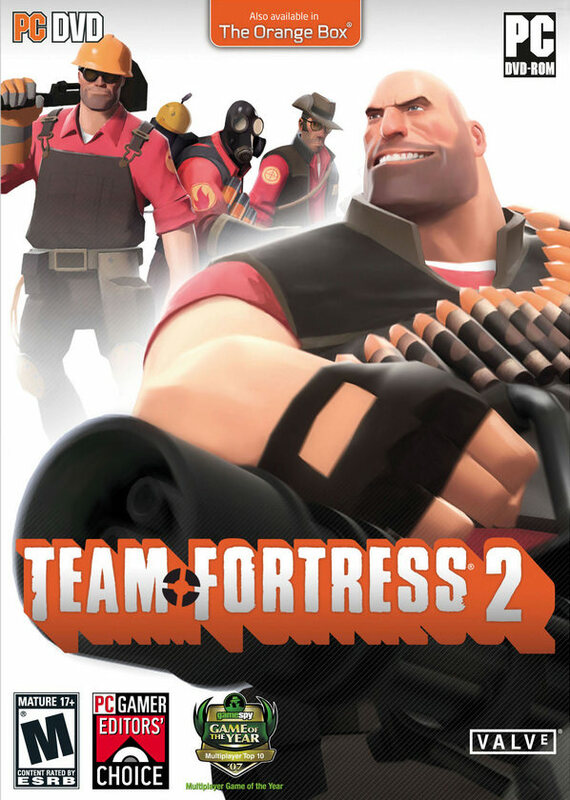 Following suit, it was released as a standalone title on April 9, 2008, and on June 10, 2010, Team Fortress 2 was released for Mac OS X. The PC and OS X versions of Team Fortress 2 adopted a "Free to Play" model on June 23, 2011 with all revenue being generated from micro transactions in the In-game Store. After several months of closed beta, Team Fortress 2 was finally released for Linux operating systems on February 14, 2013. The game was first announced in 1998 as a sequel to the original Team Fortress mod for Quake, but has since been through various concept and design periods. In 1999, the game appeared to be abandoning the art styles of the original Team Fortress Classic by transitioning toward a more realistic and militaristic style of gameplay. However, the design continued evolving over the game's nine-year development period and game engine switch. The final art style rendition of Team Fortress 2 resembles that of the original Team Fortress and Team Fortress Classic games, and also features a cartoon-like visual style based on the art of Dean Cornwell, J. C. Leyendecker, and Norman Rockwell. Team Fortress 2 follows a popular trend in recent CGI films, in particular, films recently made by Pixar Animation Studios, such as The Incredibles. The absence of media information or apparent development progress for six years of the game's development caused it to be labeled as vaporware, and it was regularly featured in the Wired News' annual vaporware list, among gaming news outlets. Since its release, however, the game has received critical acclaim and several awards. If you need more information please contact the developers of Team Fortress 2 (Valve Corporation), or check out their product website.